Introducing the most spectacular collaboration with TechWears! 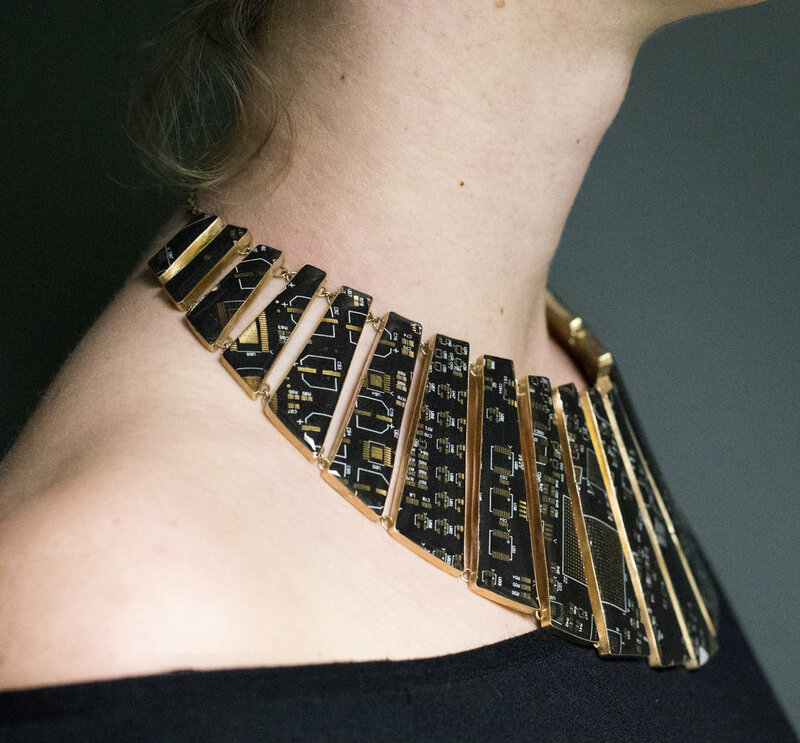 An elegant circuitboard cocktail necklace made with timeless metalsmithing techniques and an innovative technological twist. This necklace was recently accepted into this year’s Jewelry and Metals Survey publication (JaMS) of the Society of North American Goldsmiths (SNAG). To see more like it, go to techwears.com/pages/metalsmithing.